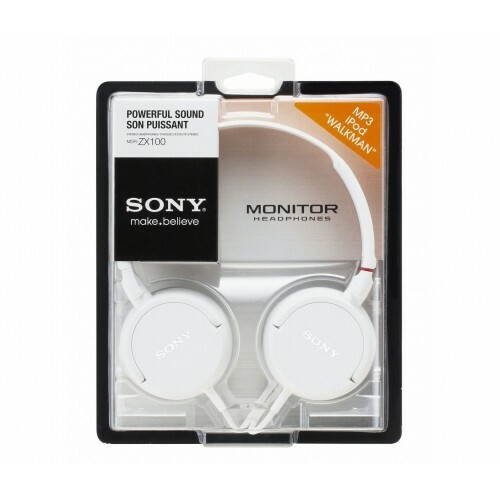 A lightweight and stylish pair of headphones suitable for both outdoor and indoor use, the Sony MDR­ZX100W features high­-quality 30mm driver units to deliver accurate and crystal-­clear audio reproduction. Featuring a lightweight design making it easy to carry the headphones with you wherever you go, the Sony MDR­ZX100W is also designed for lasting comfort for wearing for longer periods. It comes with a double­-sided 1.2 ­metre flat cable designed to eliminate tangles and provide lasting convenience while you're on the move. The headphones are also available in a variety of colour options including pink, white or black, allowing you to find something which best suits your style. Delivering clear audio thanks to 30mm driver units, you'll be able to feel the power of dynamic sound and become immersed in your favourite music tracks as though you're standing in the front row at a concert. You can pair the Sony MDR­ZX100W with any music player such as a Walkman or any other MP3 player, computer or smartphone, with no additional setup required. Why Should You Buy these Corded Headphones? 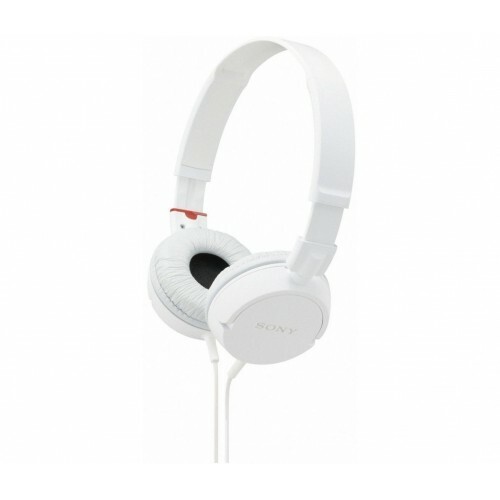 Fashionable and stylish without compromising on usability or sound quality, the Sony MDR- ZX100W on­-ear headphones provides an excellent sound experience for those seeking an affordable yet dependable way to listen to their favourite music while you're on the move. Fantastic headphones for the price, have a pair myself so I can vouch for the excellent sound quality and decent build quality you would expect from Sony.